The transfer order is the banking operation through which the payer’s account is, on a written order from this one, debited for an amount intended to credit another account. This operation ensures the transfer of funds from one account to another. The payer and the beneficiary can be either the same person or two different persons. Accounts where there will be movements can be opened on the books of the same financial institution or in two different institutions. 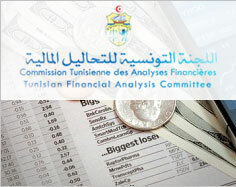 In Tunisia, transfer is governed by provisions of the Commercial Code (articles 678 to 688). Transfer was set out in a national norm dated 11 October 1999. It is applied to all financial institutions and to every economic agent intending to carry out bulk payments by transfer. Direct debit is a means of payment preauthorized by the financial institution’s client requiring, beforehand, the conclusion of a domiciliation contract based on an agreement between the debtor, the creditor and the relevant paying institutions. In order to enjoy the status of a direct-debit issuer, BCT authorization is required. The BCT publishes the list of direct debit issuers. The cheque is a sight means of payment. It is a written document through which the drawer, the person who draws up the cheque, orders the drawee, his/her bank, to debit a sum from his/her account on behalf of a third party (the beneficiary). 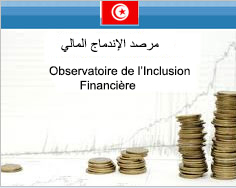 In Tunisia, the cheque is governed by provisions of the Commercial Code (articles 346 to 412) as modified by subsequent texts and notably by law n° 2007-37 of 4 June 2007 and reiterated by circulars to lending institutions n°2007-18 of 5 July 2007, modified by circulars to lending institutions n° 2011-05 of 11 May 2011 and n° 2011-09 of 9 September 2011.
a) The format, presentation, imprinting and use of the printed paper on which cheques have to be drawn up. b) The technical elements proper to magnetic script and processing of cheques through scanners. 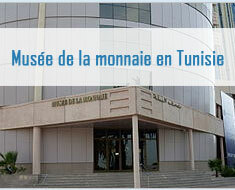 The norm is applicable to both bank and postal cheques as well as to letter- cheques issued in Tunisia. It is compulsory to all financial institutions and every organization on which cheques can legally be drawn. It is a security representing a claim that gives the right to payment of a sum of money on a maturity (bill of exchange, promissory note). The promissory note is a written document through which the subscriber, the debtor or the client acknowledges his debt and commits himself to paying a certain sum on a determined maturity to the beneficiary, the creditor or the supplier or any other third party he designates. The debtor takes the initiative and draws up by himself the promissory note by which he is committed to paying his debt on a determined date. The drawer: He issues the bill of exchange and calls, hence, the drawee to pay. The drawee: He must pay the sum indicated on the due date. He must have a debt towards the drawer. It is this debt that constitutes the provision. Commercial papers are in Tunisia governed by provisions of the Commercial Law (Articles 269 to 345) and law n°96-28 of 3 April 1996. The bill of exchange is subject to a national rule dated March 2003. It aims at setting the format, presentation, imprinting and use of the printed paper on which bills of exchange accepting auto play have to be drawn up. The monetic card is a means of payment used to carry out withdrawal operations at cash dispensers and/or payments on Electronic Payment Terminals or online. Withdrawal and/or payment operations are possible only locally for national cards and are extendable abroad for international cards. Monetic card payments are governed by law n° 2005-51 of 27 June 2005. The monetic card’s use and operation are governed by a contract signed by the monetic cardholder. Each card has a ceiling negotiable with the issuing institution.